Last night I ran to town for groceries and to buy a snake bin: a clear plastic tub with a locking lid. Exquisite timing because today I rescued my first real live wild rattlesnake in my very own yard! 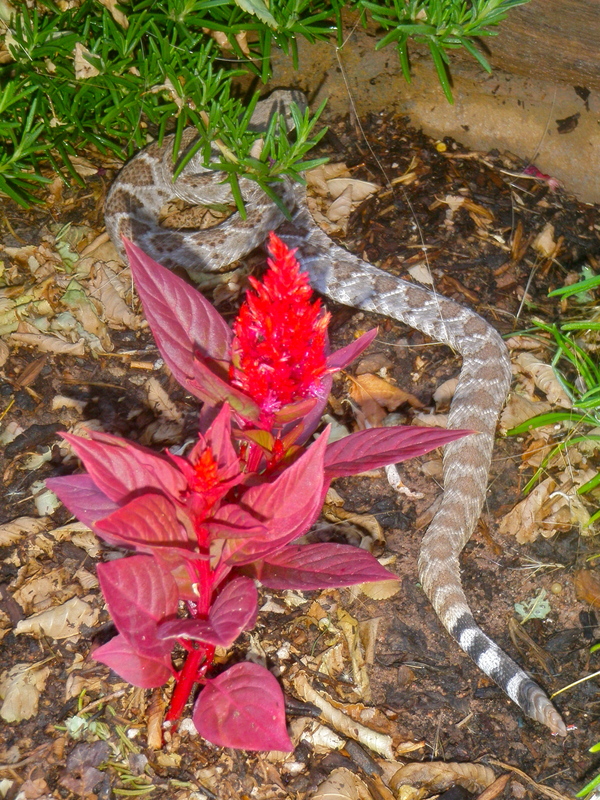 A Diamondback in My Garden! Isn’t he beautiful?! I picked him up with my new snake stick, stuck him in my new snake bin, put the bin in my trunk, drove him down the road a bit to a nice arroyo away from any houses and let him loose! Here’s hoping for continued good snake karma! 1 Response to Rattlesnake Wrangling Update!